So you’re looking to take your time trial performance to the next level. You’ve invested hours into your training and now you are ready to invest financially by upgrading your equipment. But unfortunately you don’t have the budget to buy the latest and greatest time trial machine. So what purchases should you make to get the most improvements for your money. Let’s say you have a budget of $2000. What should you buy to make the biggest improvements in your time trial equipment? Are you better off purchasing upgrades for your road bike, like wheels and aero bars, to turn it into a time trial machine? 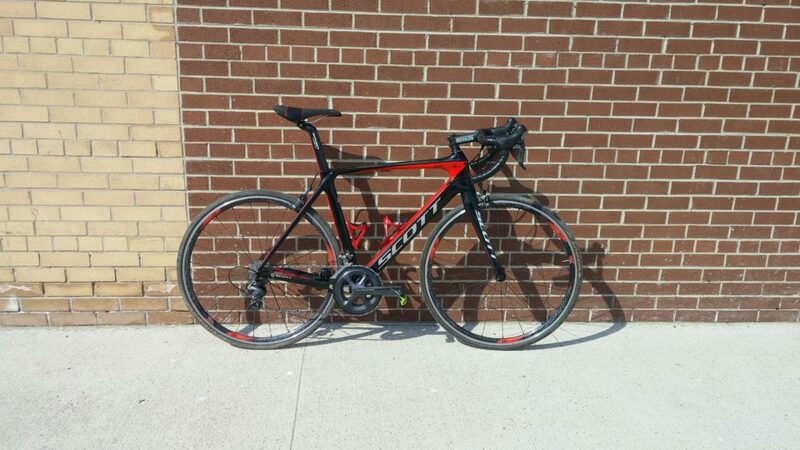 Or is your money better invested in an entry level time trial bike? I decided to put the different options to the test to find out which setup will give you the best returns on your investment. In order to answer this question, I put three different bike setups to the test. 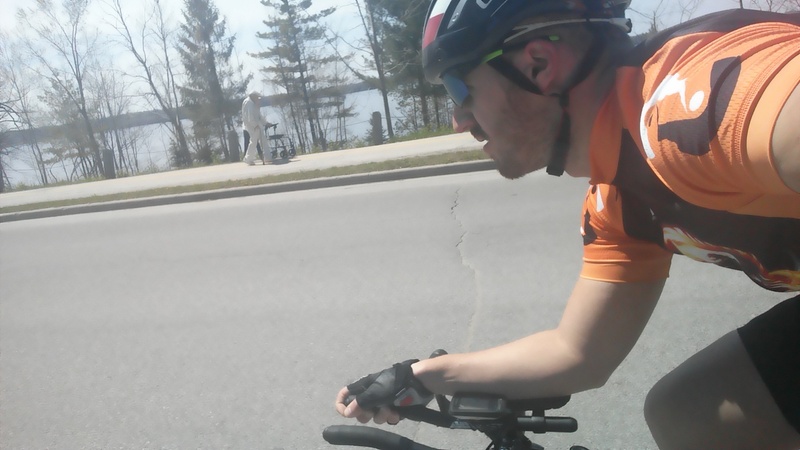 The test consisted of riding each bike on the same 15 kilometer course at a target wattage of 225 watts and then comparing the times to see which investment would pay off the most. The first bike was my standard 2013 Scott Foil as you would find it on the shop floor. 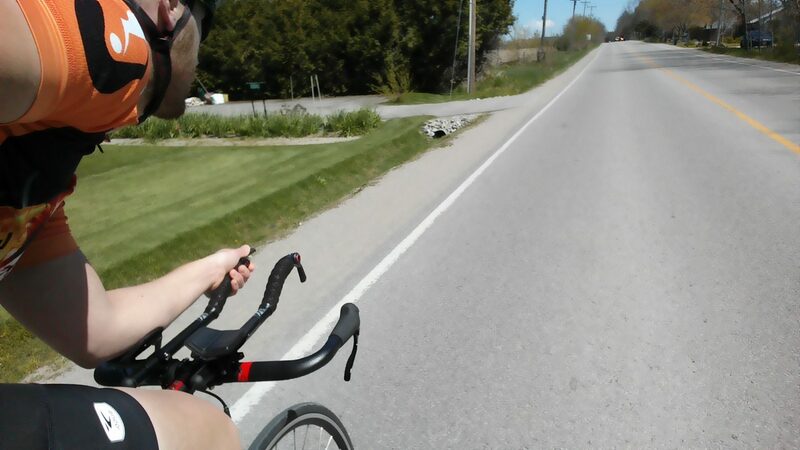 I did my best to get as aero as possible on the hoods and in the drops, bending my arms to reduce frontal area. 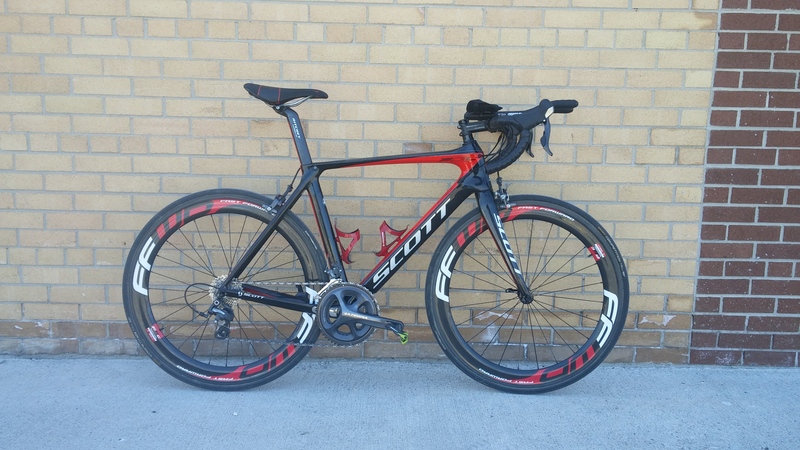 Bike number two was the same Scott Foil with aero bars and deep section rims, two upgrades that can easily be made while remaining within your $2000 budget. Aero bars start at around $100 while a wheel set like the Mavic Cosmic Pro Carbons can be purchased for $1300 with tires. 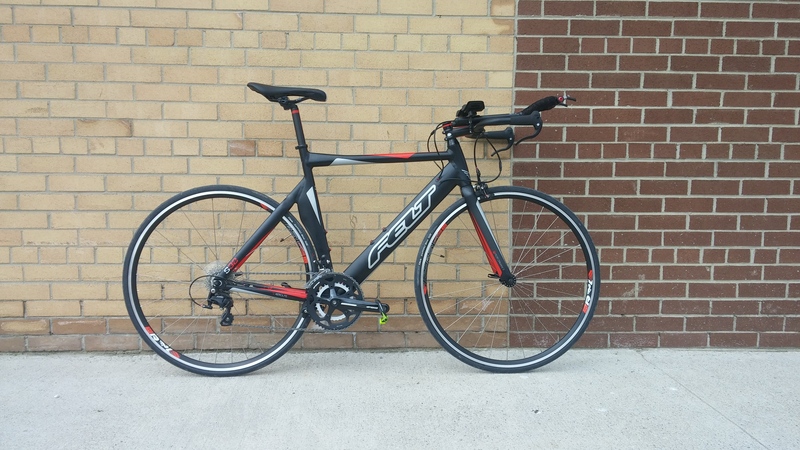 And the third bike was a Felt S32, which retails for $1600. Felt was kind enough to loan me the bike for the test. The S32 is Felt’s entry level time trial/triathlon bike featuring an aluminum frame, Shimano 105 derailleurs, and Microshift shifters. While the bike changed each test, my clothing remained consistent. It consisted of a standard jersey and shorts and an aero road helmet (Giro Air Attack). And while many improvement in aerodynamics can be made by upgrading your clothing, that test is for another time. Due to the small sample size, this test can hardly be considered scientific or conclusive but hopefully it will answer some questions for you. In the end, the difference between the road bike with aero bars and deep section rims and a budget time trial bike was only 8 seconds. Some of the difference could be explained by different wind conditions but with so little to separate the two bikes there is no clear winner in this test. The results do offer further evidence to support that the rider’s body is the main source of drag on the bike. Aero bars allow the rider to get low and reduce frontal area thus reducing drag. If you are looking to improve your aerodynamics, body position should be your biggest consideration. This can be seen in that the addition of aero bars to a standard road bike knocked off over a minute and a half over 15 kilometers. If you stretch out those savings over longer distances, you can save over 3 minutes over a 30 kilometer time trial. So with no clear winner in this test, what should you spend your money on? In conclusion, my not-so-scientific testing has done little to answer the question of which purchase is better. Instead, it has shown that both upgrades to your current road bike and a budget time trial bike are both viable ways to improve your time trialing performance. Both come with their benefits so its up to you to choice which is the better investment for you. If you would like more tips on how to improve your time trialing check out How to Improve Your Time Trialing. And for more tips on getting more aero without breaking the bank, check out Aero on a Budget Part 1 and Part 2. Sponsored: For affordable carbon wheels that are fast enough to win and tough enough to ride year round, check out 3Sixty5 Cycling.